In the 2004 general elections, Rahul Gandhi defeated Mishra by a margin of 290,853 votes. NEW DELHI: Bahujan Samaj Party (BSP) leader Chandraprakash Mishra, who contested against Congress President Rahul Gandhi in Amethi in 2004, on Wednesday joined the Bharatiya Janata Party (BJP). Mishra was inducted into the party in the presence of Union Ministers Smriti Irani and J.P. Nadda. 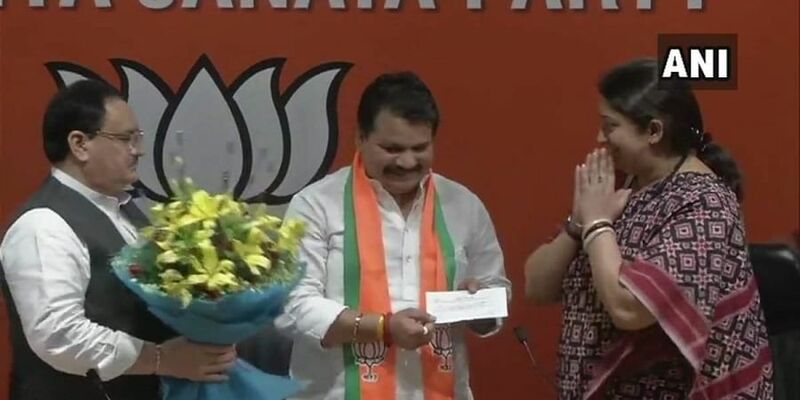 "Impressed with the all-round development of Amethi in five years under the leadership of Prime Minister Narendra Modi, Mishra has decided to join the BJP," Irani said.